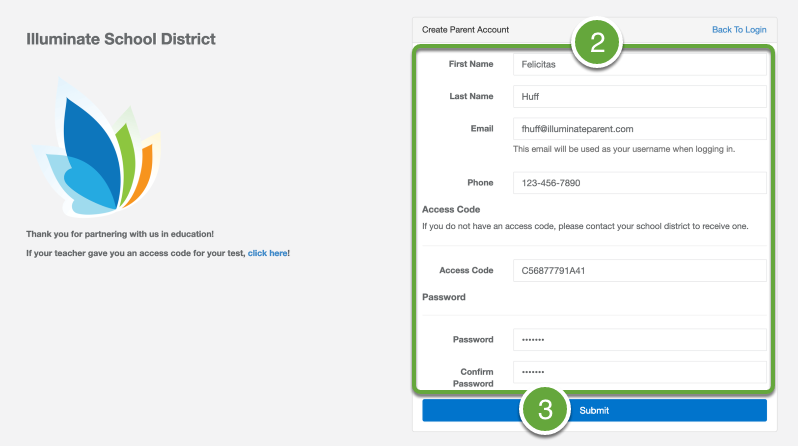 This lesson will show you how to register for an Illuminate Parent Portal account. 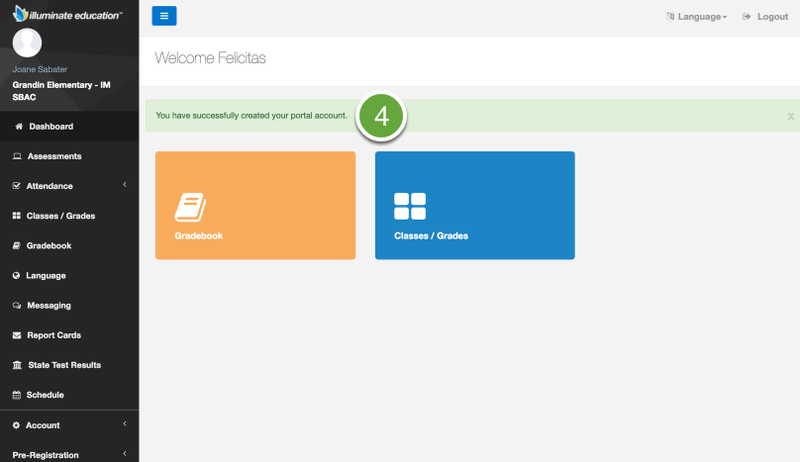 The Parent Portal allows you to regularly and easily see how your child is performing in his or her class(es), view upcoming assignments, and more. Note: If you have any issues with the registration process, please contact your school or district office for further assistance. 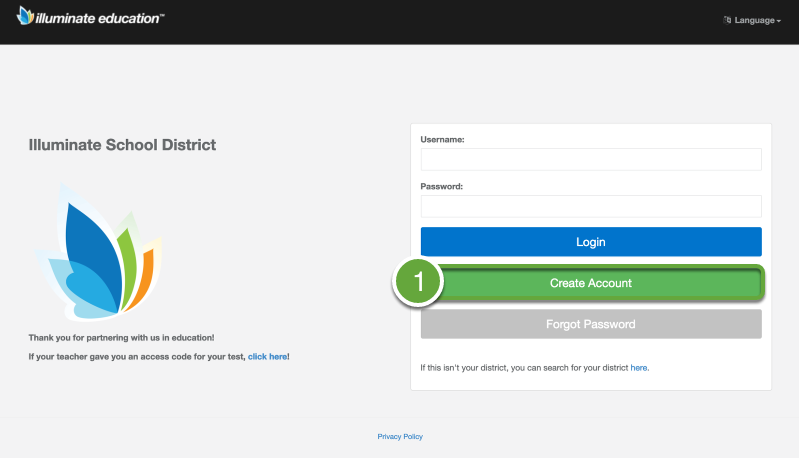 A link to your Portal website (ex: yourdistrict.illuminatehc.com). A green success message will display at the top of the page.